Cats have lived with people for over 2000 years. In all this time, their dietary habits have not changed much compared to their relatives living in the wild. Wild cats kill small prey animals several times a day, which they then eat at their leisure as solitary animals. 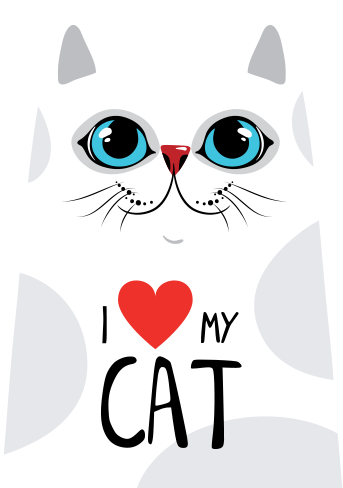 Cats are genuine carnivores, so they need meat as the basic part of their diet. To meet their nutritional requirements, a cat would have to catch 10-12 mice daily! The basic ingredient of their food should be a high proportion of meat. 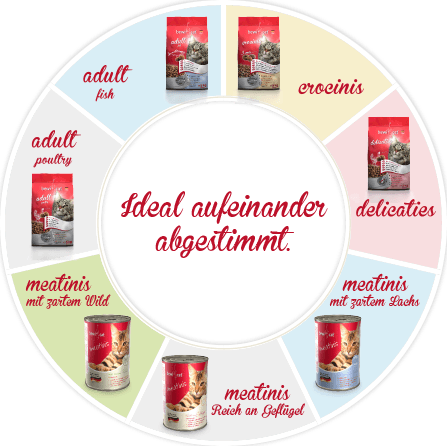 Particular nutrients contained only in meat (e.g. taurine) must be present in adequate quantities in the food. 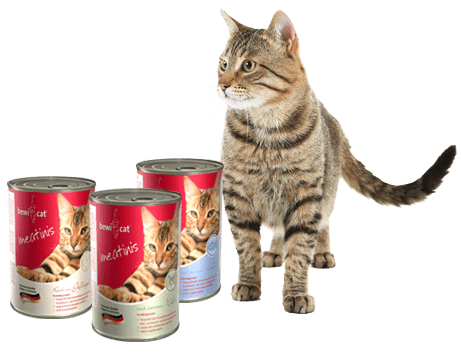 The special dietary habits of cats should be taken into account in their feeding and they should be given the option of eating small portions throughout the day. It's the mixture they love! 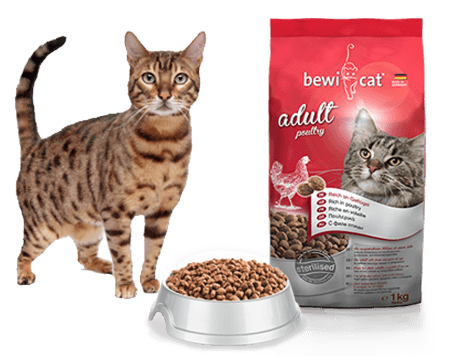 The bewi cat® line offers you the option of combining high-quality moist food with crunchy dry food with a high meat content (crocinis, adult poultry, adult fish, delicaties), thus providing your cat with an optimal diet. Die bewi cat® products complement each other perfectly.